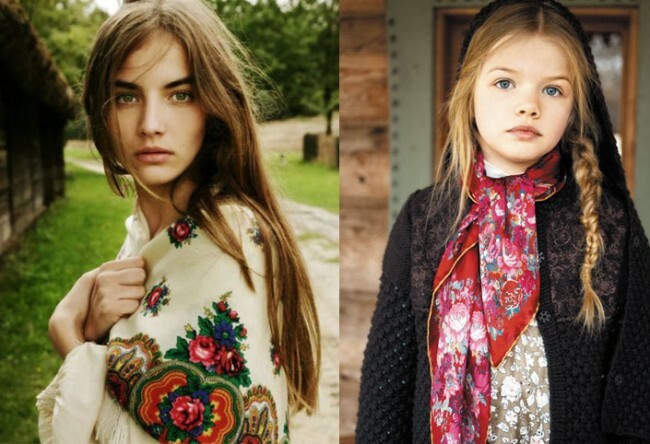 Traditional Russian fashion is hardly imaginable without famed colourful scarves that instantly evoke associations with “babushka”, rural countryside and practically everything that is historically deemed to be Russian. 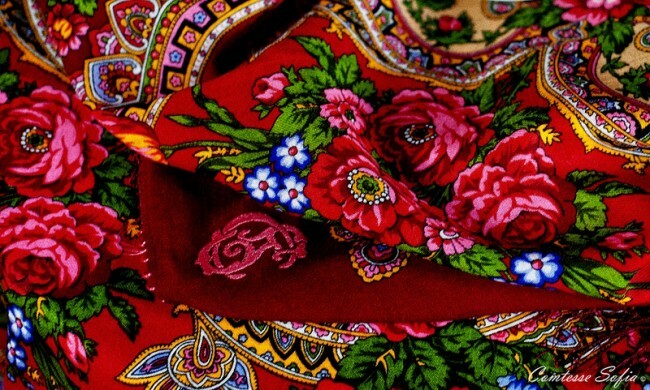 These vivid and characterful scarves were once a necessity for innumerous villagers and city dwellers of then Old Russia and the Russian Empire, and were used as a means to dress up, to keep warm and even to show one’s social and marital status. Their various embroideries, prints and fabrics served as an indicator of wearer’s background and place of origin, as initially those scarves were produced at home and varied from village to village. Above all, those scarves were a much-loved family treasure to pass on from generation to generation. 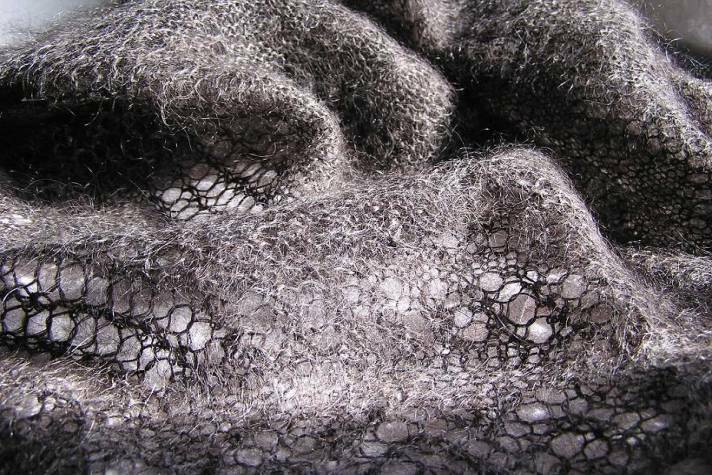 Over the years traditional Russian scarves might have lost some of their daily-wear appeal: no longer a necessity, they were left to the older generations as something archaic and, well, rather unwearable. Remaining largely under the radar, they were, and perhaps, still are mainly a favourite go-to item of grandmothers and their curious granddaughters, as well as a point of reference for designers turning to the rich Russian history as a source of inspiration. 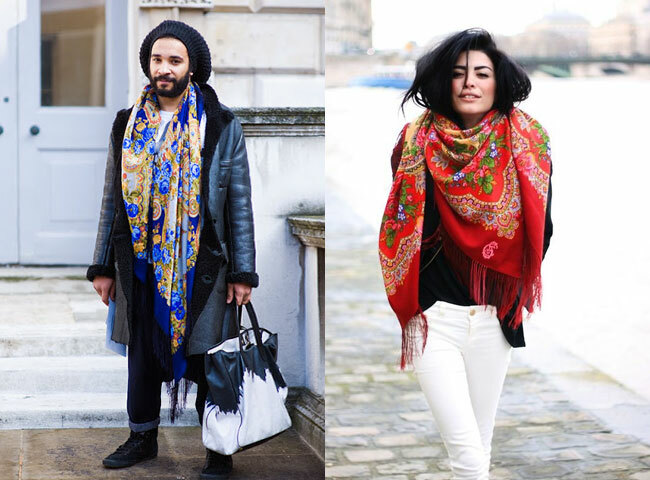 With traditional motivs transcending national and geographical borders, however, Russian scarves have gradually gained their momentum, re-inventing themselves as a statement accessory favoured by fashionistas in Russia and abroad, if numerous street-style photographs are anything to go by. Versatility in wear, strong character and timelessness are the key attributes that make traditional Russian scarves so appealing. Whether it is an original scarf sourced from one of the regions in Russia or an inspired piece found in the collection of an emerging designer, this type of scarf possesses the power to pull together an outfit that would otherwise feel incomplete or too heterogeneous. Used as a headscarf, it adds a touch of whimsy to a prim look and is a remedy to a bad-hair day; as a shawl, it is both a stylish and practical alternative to a blazer on a chilly spring night. Bright and colourful, it is an equally telling accessory peaking from under the muted-coloured trench coat or tied to a corner of a classic leather tote. 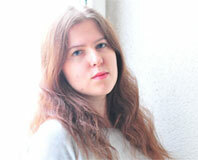 Ranging in colours, prints and sizes, traditional Russian scarves offer numerous possibilities of wear, and it is probably one of the reasons – on par with their rich history and associations with cosiness and long forgotten past – why they are bound to retain their place as a stylish and timeless accessory. Here, two types of original Russian scarves deserve particular attention: Pavlovsky Posad wool scarves and Orenburg “cobweb” shawls are the most frequently referenced types of traditional scarves that the country is famous for, making them a part of Russian national heritage and a highly sought-after item of clothing. Ultimately, traditional Russian scarves are known for their beauty; with that, they simply cannot stay a hidden national treasure for much longer. 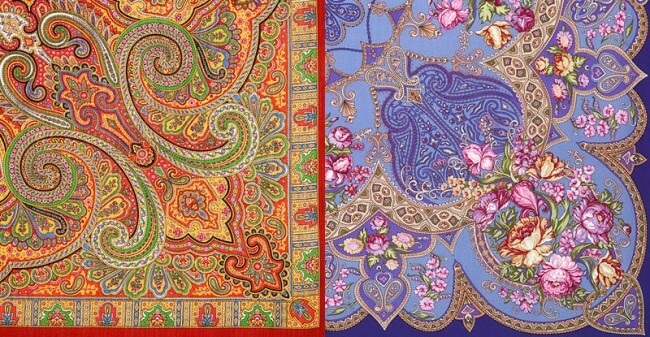 very beautiful scarves. I love the red one in the header! 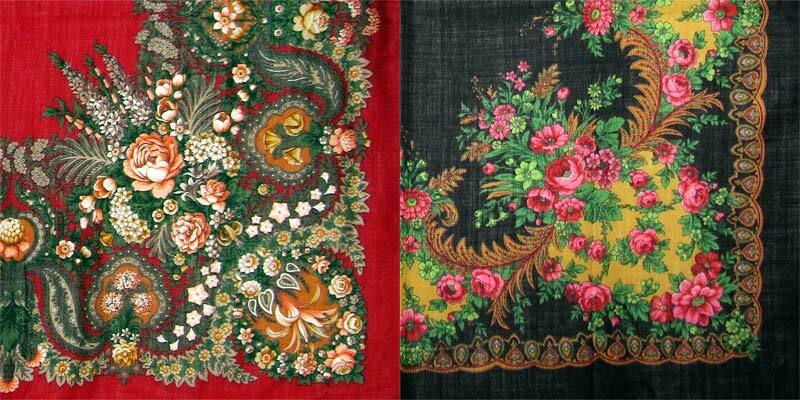 I always admire colourful Russian scarves. Pavlovsky Posad looks attractive. Must say scarves have become a fashion trend among young generation and it has broke this notion that it is meant just for elderly ladies. Their colours are inspiring and look stylish and cozy. It would be nice to see more people in Europe waring Russian scarves!